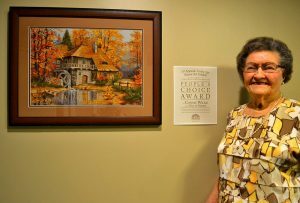 Art Exhibit, Color Burke Support Good Moods Program at Grace Ridge - Grace Ridge Retirement Community - Morganton, N.C. 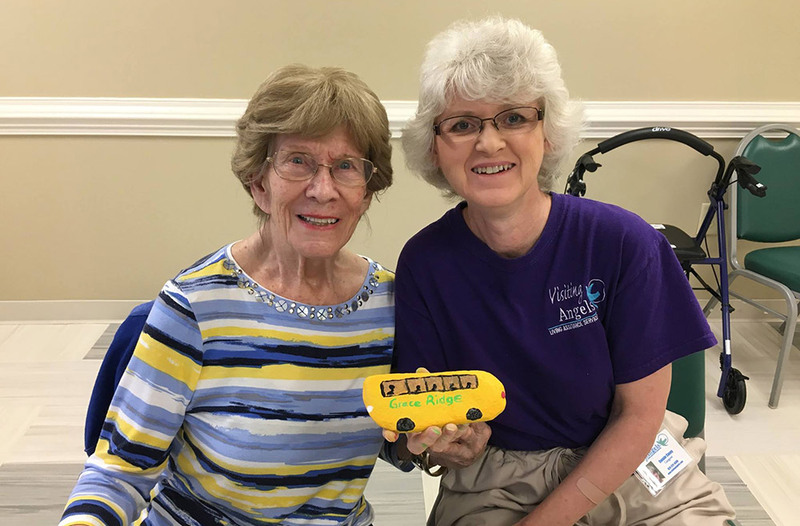 The Good Moods program at Grace Ridge promotes overall well-being by addressing the many aspects of wellness, including the emotional, spiritual, vocational, social and intellectual. 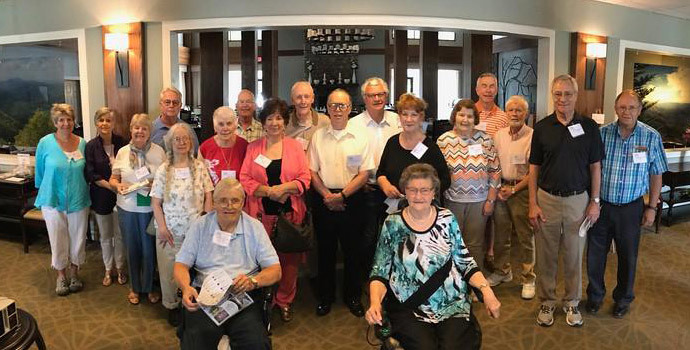 Recently, two events at Grace Ridge exemplified the commitment to healthy aging and focus on mind, body and emotions. 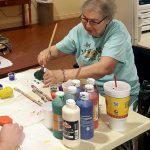 In June, Grace Ridge hosted the third annual Creative Age Senior Art Exhibit in honor of the 30th anniversary of the community. The special exhibit featured 45 works of art — from sculptured to watercolor, mixed media, crafts, photography and more — created by 25 artists over the age of 60 throughout Western North Carolina. Artists who exhibited included both professionals and nonprofessionals. All works of art in the exhibition were displayed on the first floor of the community, and visitors were provided with a numbered map indicating locations of the various pieces. After visitors viewed the exhibit, they could go to the Grand Lobby to vote for their favorites for the People’s Choice award. Following the exhibit, the ballots were counted and exhibit attendees voted Glory of Autumn (counted cross-stitch) as their favorite submission. Grace Ridge resident and prolific cross-stitcher Connie Wilkie claimed the honor. The exhibit was free and open to the public each day between June 8 and 21. On June 7, a private reception for VIPs and artists included introductions and a program. A number of the works of art were for sale; items could be purchased during the exhibit, but were left on display for the duration of the event. This unique art exhibit was just one example of the Good Moods events that support mood, body and mind in enhancing overall well-being. Many of the exhibitors who participated in the Creative Age Senior Art Exhibit have interesting stories relating to their work. For example, one artist — who had no formal art education — did not begin painting until she had entered her 60s. 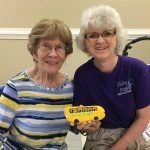 She now suffers from macular degeneration, but has vowed to keep painting as long as she can. Resident and decades-long quilter Joan Cole transformed some beloved nursery rhymes from her childhood into a quilt. Wood turner and resident Don Olsen developed a personal connection to one of his pieces; he named it “Incision” because the crack in the wood has a length similar to his scar from surgery. Two other wood carvers worked cooperatively to blend their distinctive styles, creating a unique and intricate sculpture. Another project in keeping with the Good Moods program is Color Burke!, which was created to spread joy and help share positive feelings with people throughout the county. As part of Color Burke!, people paint rocks in any design they choose and then “hide” the rocks — usually in plain sight — for other people to find. As rocks are found, people take pictures and add them to Facebook for others to enjoy. 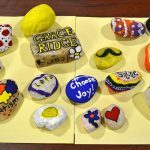 Any individual who finds a rock also is asked to “re-hide” the rock so that someone else in Burke County can find it and join in the fun. 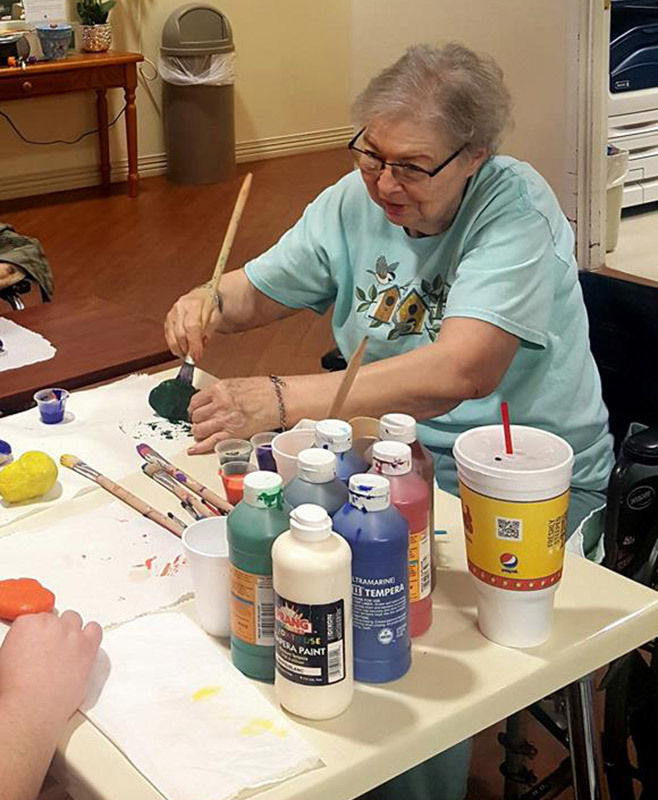 In June, Grace Ridge residents participated in Color Burke! 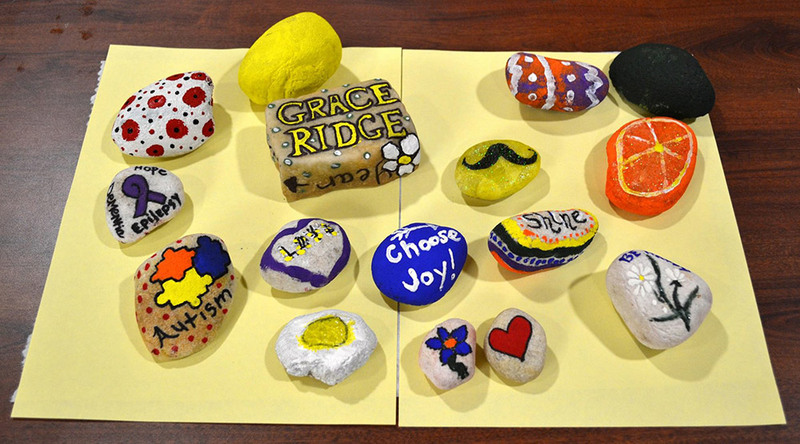 by painting rocks with colorful designs and meaningful messages. The idea for Color Burke! started with one family, who got the idea from another county with a similar program. When the mother and her children decided to participate in this fun project, they didn’t expect that a whole community would get involved in their positivity movement. In addition to including messages of love and hope, many rocks also bear personalized expressions unique to the individuals who provide the artwork.